Catesby suggested... making a mine under the upper house of Parliament... because religion had been unjustly suppressed there... twenty barrels of gunpowder were moved to the cellar... It was agreed to seize Lady Elizabeth, the king's eldest daughter... and to proclaim her Queen. Mr. Catesby... said he had a plan to deliver us from all our troubles and - without any foreign help - to replant again the Catholic faith... He said his plan was to blow up the Parliament House with gunpowder... He asked me if I would give my consent. I told him "Yes". (3) Everard Digby, letter sent to Robert Cecil while in captivity. If harsh measures are taken (against Roman Catholics) within a brief time there will be massacres, rebellions and desperate attempts against the King and State. It is hoped that the King that now is would have been at least free from persecuting, as his promise was before coming into his Realm, and as divers his promises have been since his coming, saying that he would take no soul money nor blood. (4) Everard Digby statement in court on 27 January 1606. I request that all my property might be preserved for my wife and children... I also request that I be beheaded instead of hanged. Some of the Roman Catholics, in the hope of bringing about a violent change... tried to blow up King and Parliament with gunpowder... After this it was necessary to adopt sterner measures with the Roman Catholics. 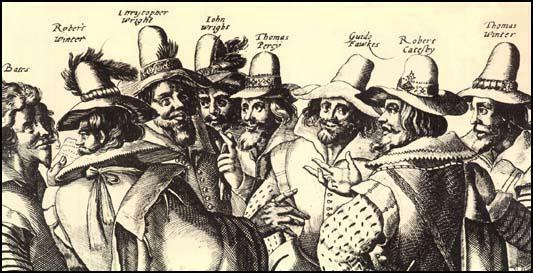 Guy Fawkes refused to name his friends... he was speedily put to torture... he was compelled to confess... The conspirators met their fate with courage, considering the terrible nature of their punishment. Tied to separate hurdles, they were dragged, lying bound on their backs, through the muddy streets to the place of execution, there to be first hanged, cut down alive, drawn, and then quartered. If Guy Fawkes case came up before the Court of Appeal today, the... judges would surely... acquit him... First, no one has ever seen the attempted tunnel. Builders excavating the area in 1823 found neither a tunnel nor any rubble. 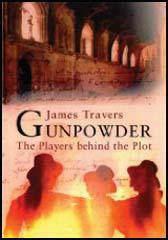 Second, the gunpowder. In 1605, the Government had a monopoly on its manufacture... The Government did not display the gunpowder and nobody saw it in the cellars. Third, these cellars were rented by the government to a known Catholic agitator... Fourth, the Tresham letter. Graphologists (handwriting experts) agree that it was not written by Francis Tresham. 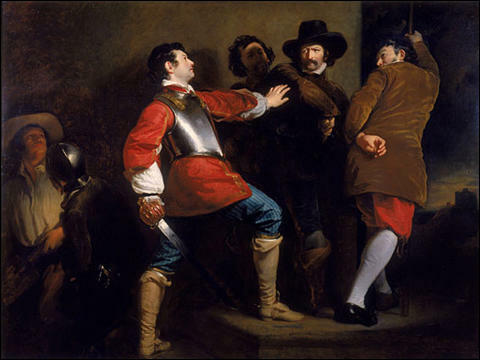 Last of all came the great devil of all, Guy Fawkes, alias Johnson, who should have put fire to the powder. His body being weak with the torture and sickness he was scarce able to go up the ladder, yet with much ado, by the help of the hangman, went high enough to break his neck by the fall. He made no speech, but with his crosses and idle ceremonies made his end upon the gallows and the block, to the great joy of all the beholders that the land was ended of so wicked a villainy. 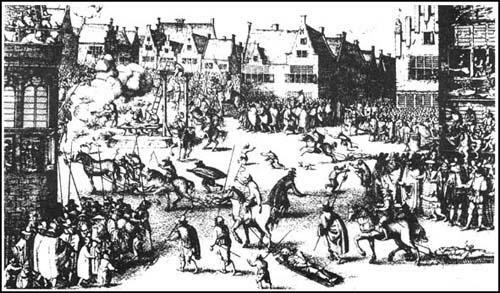 The traditional death for traitors in 17th-century England was to be hanged from the gallows, then drawn and quartered in public. 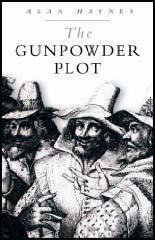 But, despite his role in the Gunpowder Plot - which the perpetrators hoped would kill King James and as many members of parliament as possible - it was not to be Fawkes's fate. As he awaited his grisly punishment on the gallows, Fawkes leapt to his death - to avoid the horrors of having his testicles cut off, his stomach opened and his guts spilled out before his eyes. He died from a broken neck. His body was subsequently quartered, and his remains were sent to "the four corners of the kingdom" as a warning to others.